According to the FDA 55% of Americans are below the recommended daily allowance (RDA) of Magnesium. 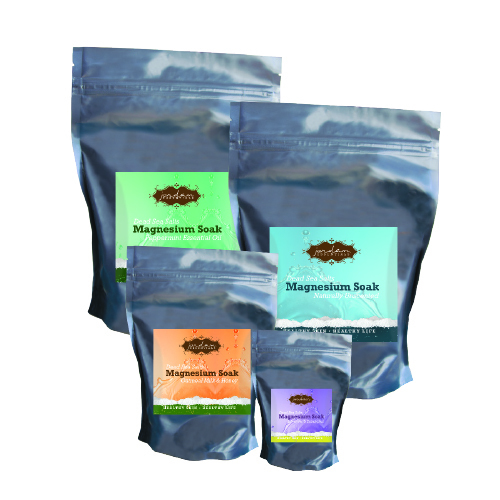 Learn how getting more magnesium through topical magnesium can help relieve symptoms today! Soothe Achy and tired muscles with this Naturally Unscented or Peppermint Essential Oil Infused Magnesium Lotion. From muscle aches and joint pain to migraines and insomnia, magnesium is a multi-beneficial mineral. Jordan Essentials has included this natural booster in a specially-formulated Magnesium Lotion to help relieve a variety of symptoms associated with poor magnesium intake. Absorbs quickly and doesn't feel greasy on your skin. Made with many organic ingredients like Organic Aloe, Sunflower, and Jojoba oils. You can rest assured this is the highest quality Magnesium Lotion available today! Choose from Naturally Unscented or Peppermint Essential Oil Infused. Peppermint Essential Oil is known to have a variety of benefits, from relieving headaches and muscle aches to reducing queasiness. After workouts or simply after a stressful day, this therapeutic soak can be your best defense against muscle aches. Benefit from many minerals derived from the Dead Sea! Revive and relax tired muscles and sleep better thanks to this great combination of magnesium, potassium, calcium, and a total of 21 minerals! Get a Bag of this Amazing Bath Salt for as little as $20 (plus S&H).